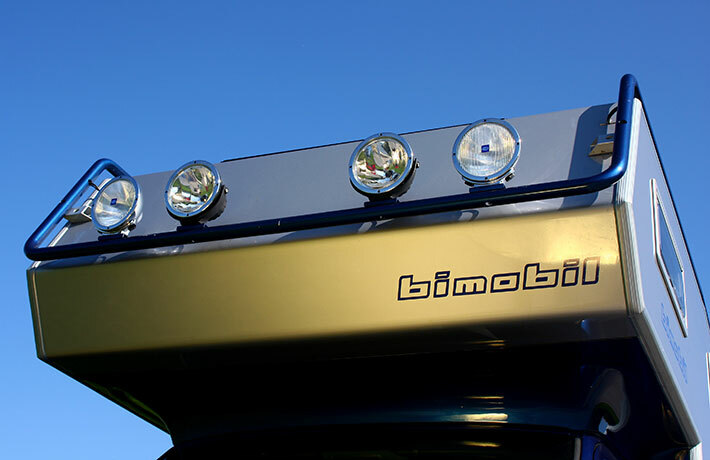 The bimobil EX 510 on MAN drives you safely and comfortably to your destination even on the longest distances and roughest terrains. 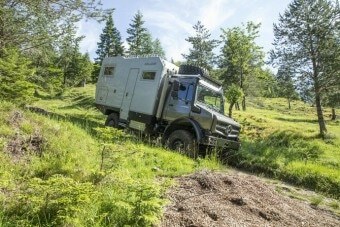 The model EX 510 is an all-terrain long-distance motorhome, built on the MAN TGM 13.290 4×4 BB with one engine of 213kW/290PS and highest reliability. 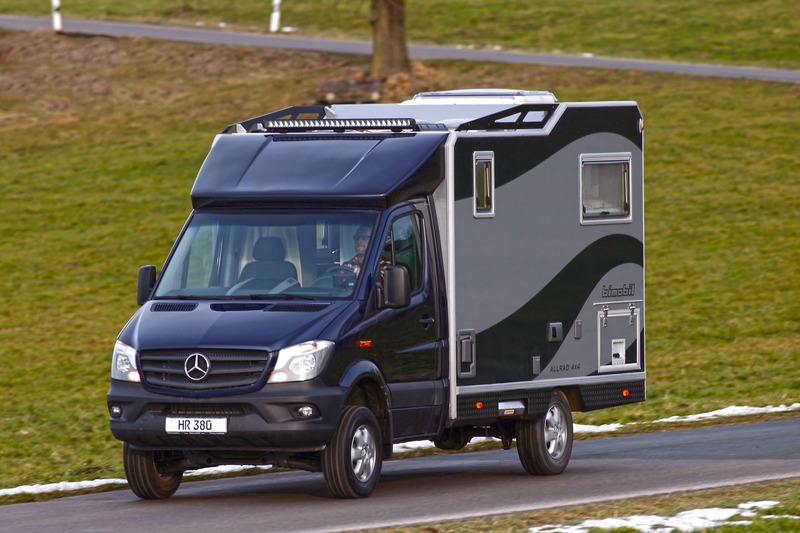 The model HR 380 on Mercedes Sprinter impresses with extremely compact external dimensions, which are barely larger than a van, but the interior conceals a true space miracle for two people. 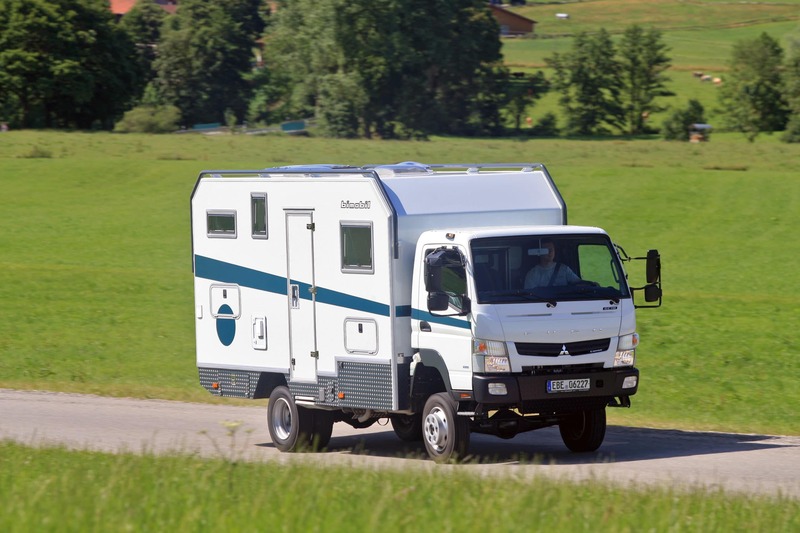 The bimobil EX 412 mounted to Iveco Daily All-Road with extended wheelbase offers a successful symbiosis between awesome offroad characteristics, a compact mass and bimobil’s high standard of living. 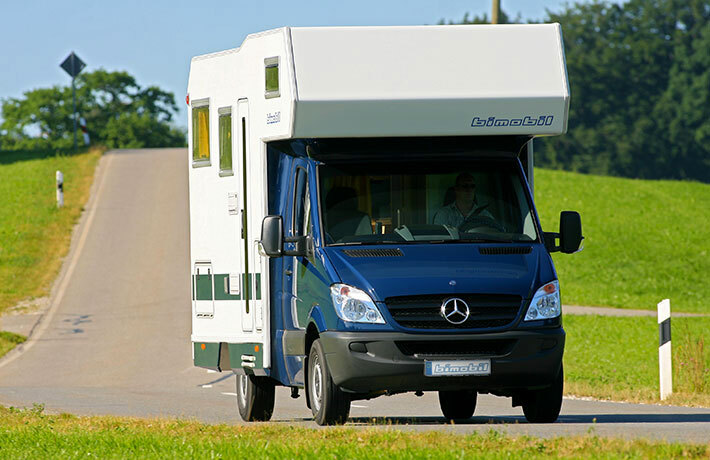 The bimobil LBX 365 is now available mounted to Iveco Daily All-Road with a gross vehicle weight of 7.2 to – which enables a huge additional load. 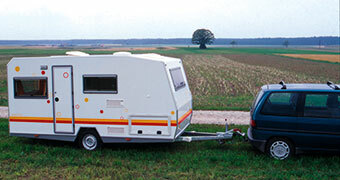 The bimobil EX 420 mounted to Iveco Daily All-Road with extended wheelbase for adventurous travel all over the world and/or for larger families/ travellers who need a lot of space. 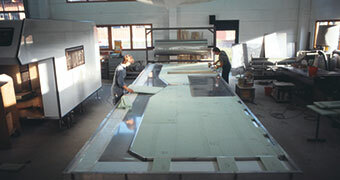 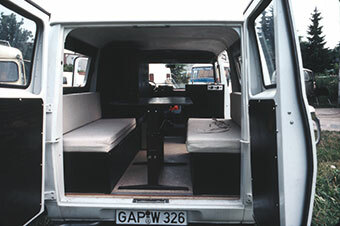 To meet the great demand the 240 cabin is now mounted to the brandnew Ford Ranger ExtraCab. 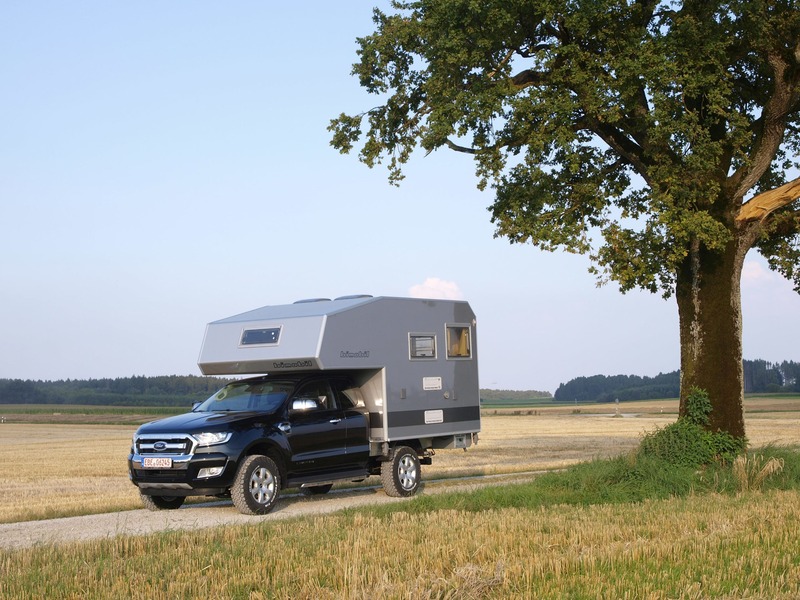 Never worry about your whereabouts: Dirt roads, sand, snow or gravel – the EX 435 will always get you to your destination safely and comfortably . 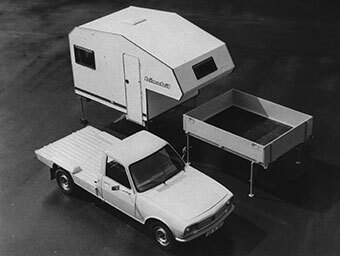 With an innovative floor plan and the electric fold-down bed in the rear this latest addition to our product line is a real show-off. 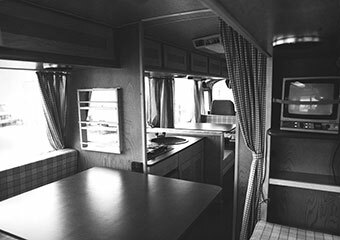 The constructive 90-degree rotation of the bed primarily means that reaching and leaving the place to sleep is facilitated considerably. 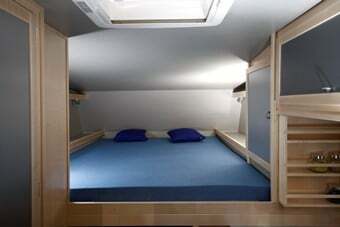 The sleeping area of 1500 x 2000 mm lush on the comfortable (Froli-) bed system was centrally positioned in the expanded overhead bay. 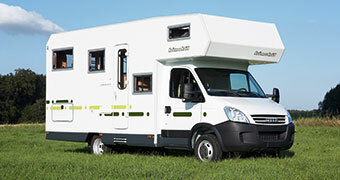 A real asset of the new bimobil LBH 510 is the generous spaciousness of this motorhome novelty in the 3.5–ton class, both in the living area as well as plenty of storage space. 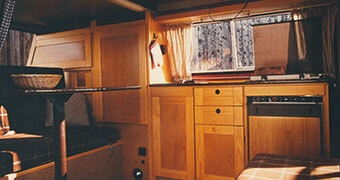 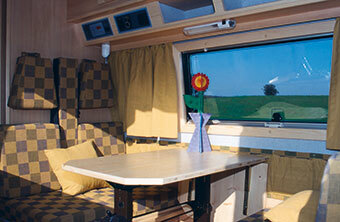 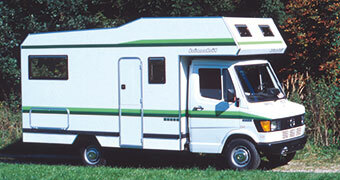 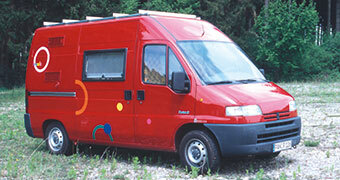 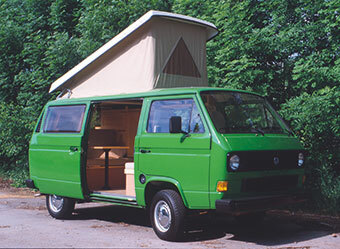 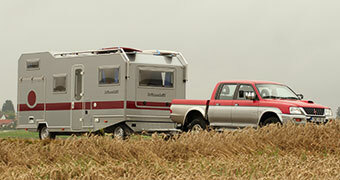 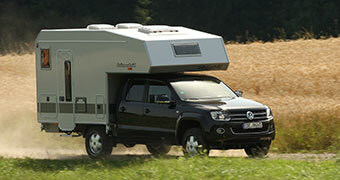 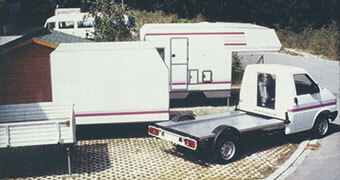 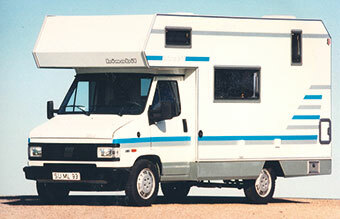 More substantive arguments are the single beds in the rear, a spacious wet room, a rear-wheel drive and many more. 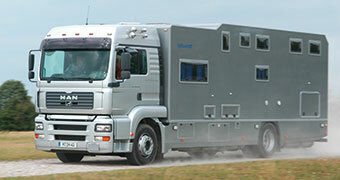 Also available as a 4 Wheel Drive in the 3.8-ton class! 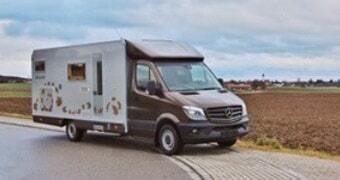 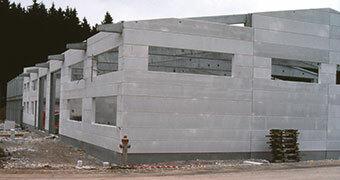 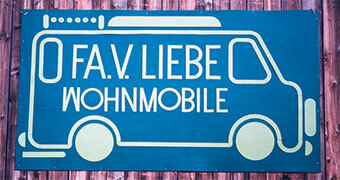 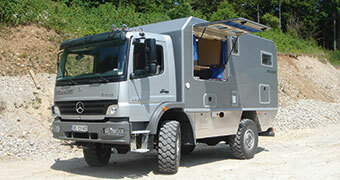 bimobil EX 366 with Mercedes Sprinter 4×4 Compact. 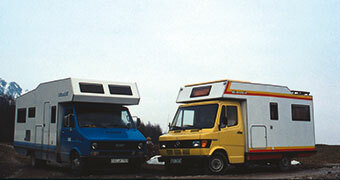 bimobil EX 460 with Fuso Canter. 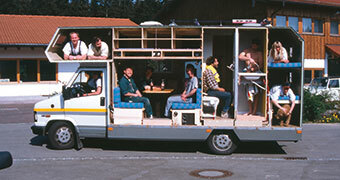 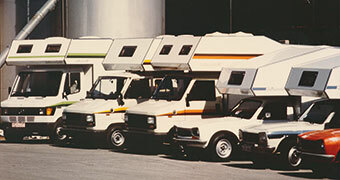 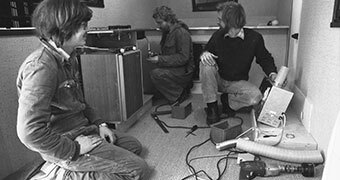 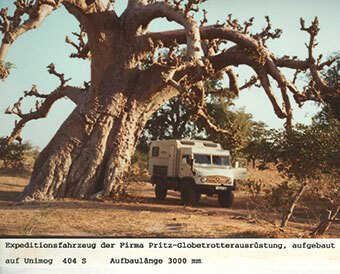 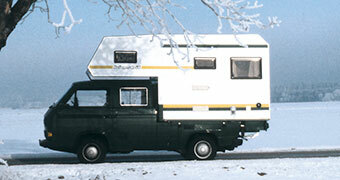 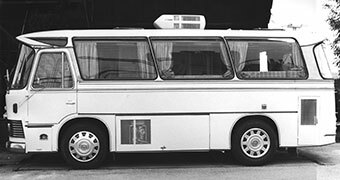 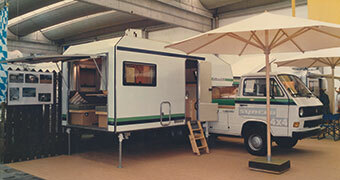 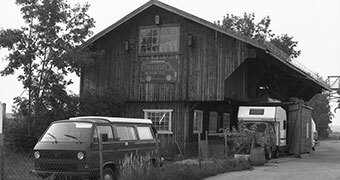 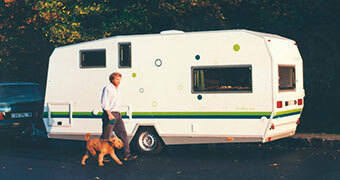 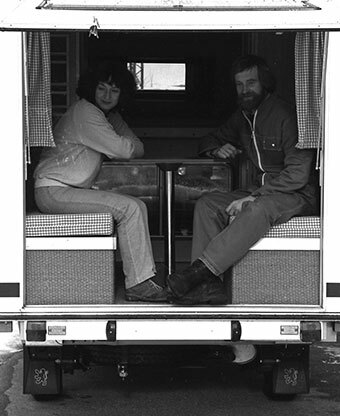 Our first expedition vehicle ever – manufactured in 1985 – and it is still on the road !